Santa Rosa Electrical Contractor | Golden State Electric, Inc. Contact Golden State Electric, Inc.
Do you have a project requiring electrical contracting services? If so, please feel free use the contact form below to send us your questions or simply call us to discuss your electrical service requirements with one of our staff. If you have job bidding in our area requiring electrical contracting services, please contact us in order to discuss your requirements in detail. We welcome inquiries from General Contractors, Wineries, Architects & most other organizations requiring electrical contracting services in the Sonoma County area. 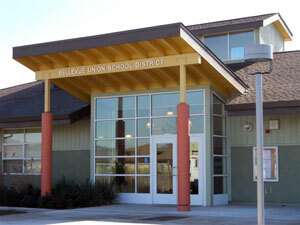 Another electrical contracting job by Golden State Electric was recently completed for the Bellevue Union School District Office in Santa Rosa, CA.